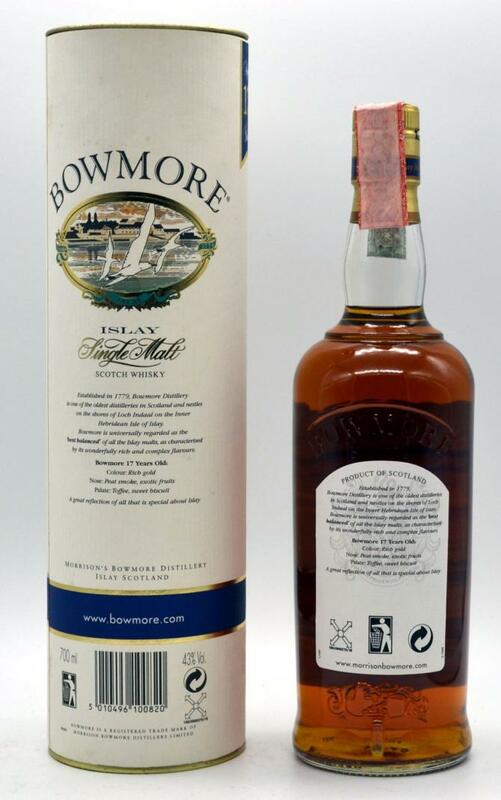 Nose comes with sharp gum, peat and paint and more balanced notes of smoke and stewed fruits. After tasting appear notes of malt and light acetone. Taste has elements of peat, sea salt, sea breeze, old clothes. 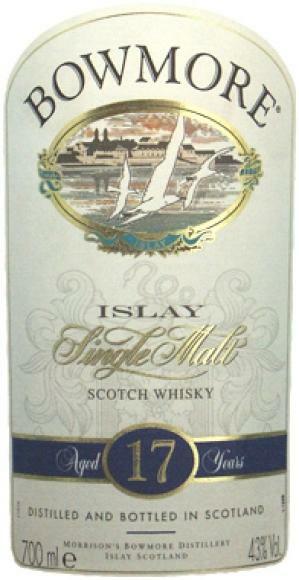 Finish is light: peat, malt, dry, soap, salt. Fruity, almost a little artificial sweetness, vinous, and then very sweet on the finish. Unusual, but not unsophisticated. Golden brown, thick streaks on the glass. What a nice smoky note! I would almost touch a Caol Ila. A light sweetness on my lips. Alcohol has already disappeared quite a bit. 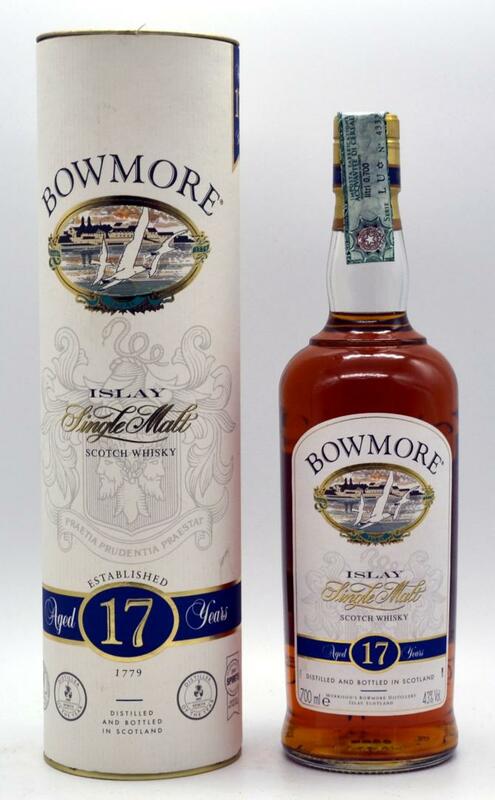 Not a very recognisable Bowmore in my opinion, but very enjoyable. I think that there's some inflation going on, as this one would probably score higher had it been released more recently. The sherry is there first: Blueberry and salted caramel. Then the peat. A light mussel-like saltiness and a tad of malt. Eventually some candied orange. A lot of salted caramel. Blueberry and a little bread. Not so much peat initially, that takes a while to come through. Peat, salted caramel and blueberry. 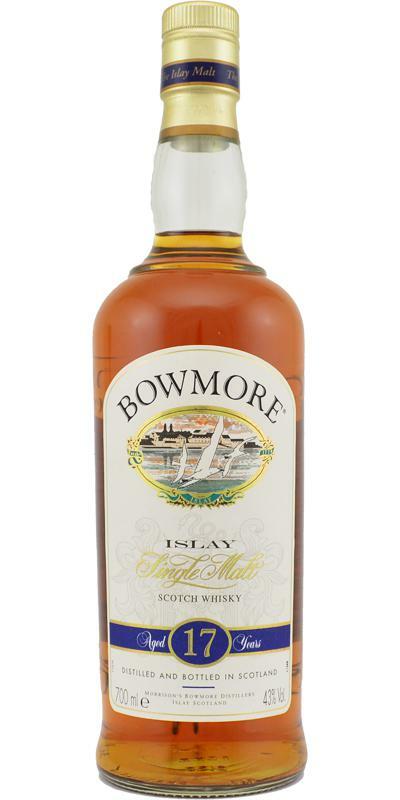 Behind that there's a more typical Bowmore sweetness of marshmallow or wine gum. N: OBE/older style spearmint, raspberry tutti fruity,.. and much more. T: More oldness, mint,.... with a 'proper' [good cricket] spirit & wood partnership. F: Gentle oozing of the things.